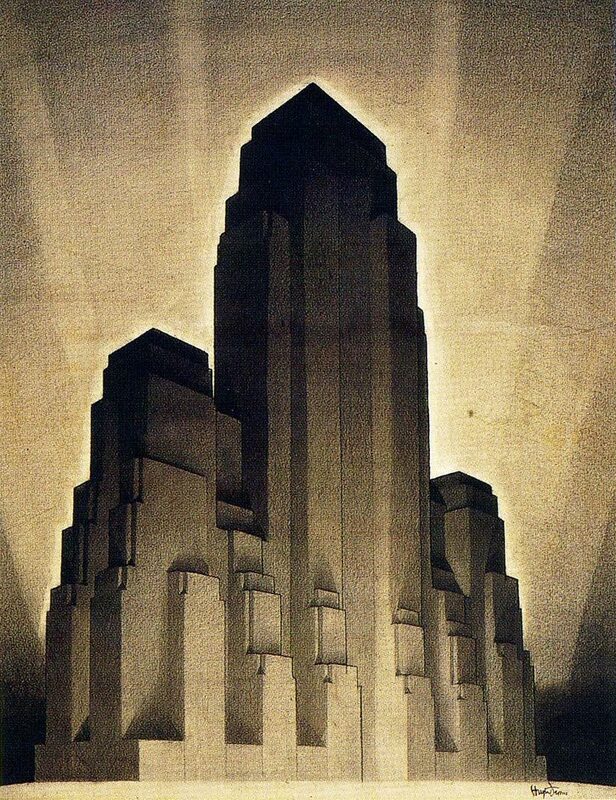 I have always been a huge fan of the work of Hugh Ferriss (1889-1962). He was originaly an architect, but is best known for the “three dimensional” drawings and sketches he did for other architects. His drawings are not just clean and objective representations of the architectural plans. 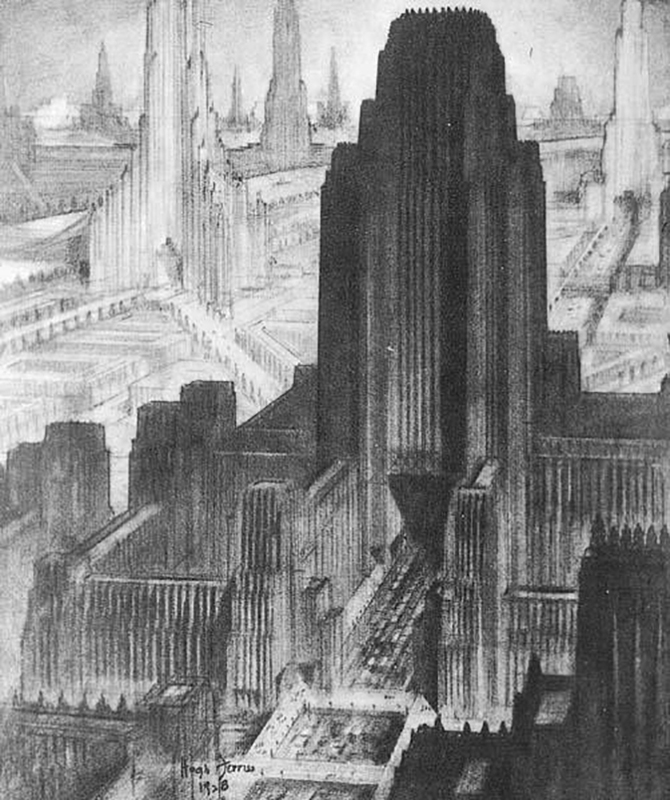 Instead Hugh Ferriss adds lots of drama to his drawings, mainly by manipulating the lighting in such a way that the buildings look grotesque and almost scary. This evoked such emotions with the public at the time that this style became very popular and he became an artist that was much asked for. 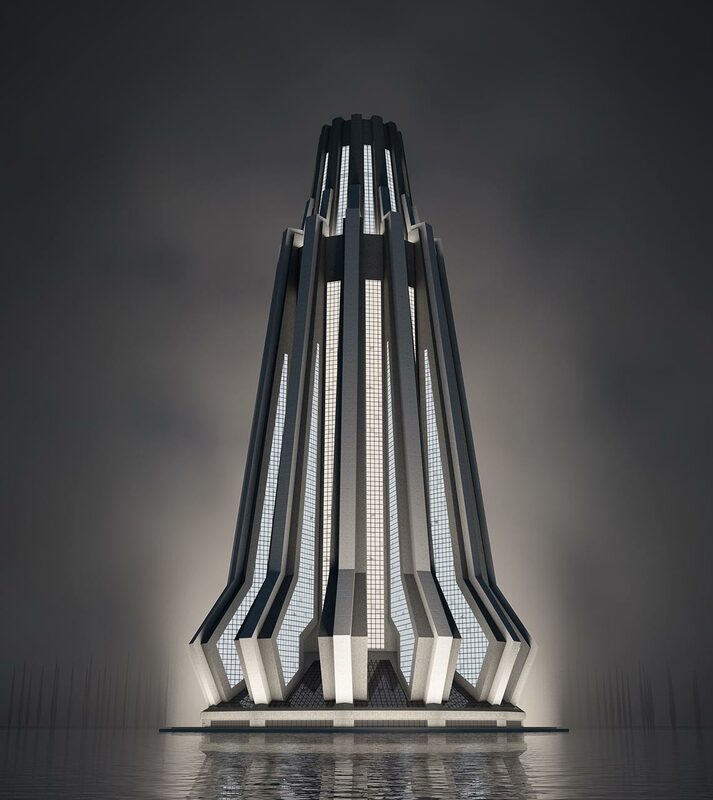 Besides his commercial work he also did some superb drawings of imaginary future cities. 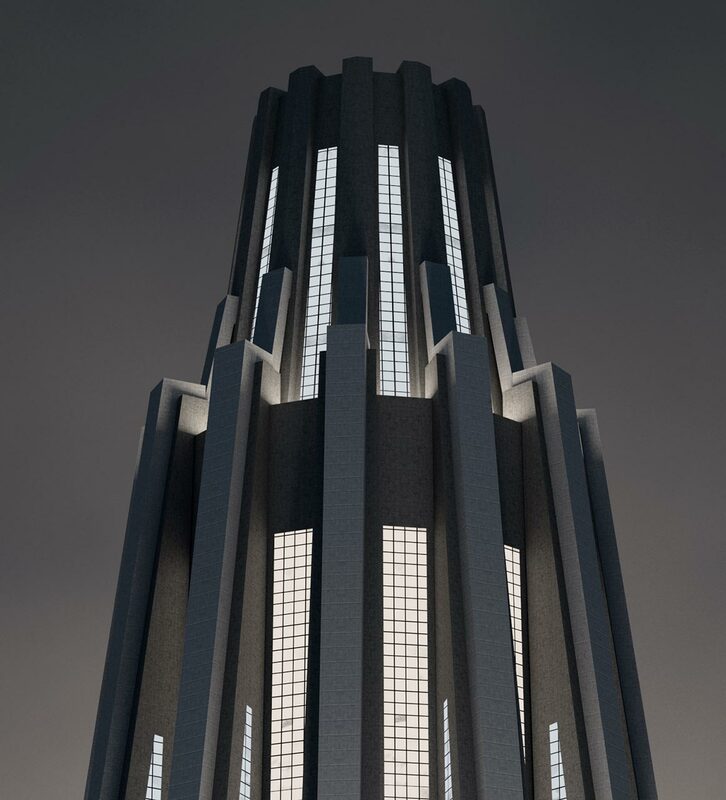 One of the techniques Ferriss uses is to place one of the main lights at the base of a building and so leaving the top of the building in the dark. It creates some kind of Dracula feel. You almost have the impression that the building comes alive to live as a sinister creature. In the drawing below Ferriss combined this technique with a strong glow that is coming from behind of the building. This way the contrast behind the dark edges of the building and the background is boosted greatly. 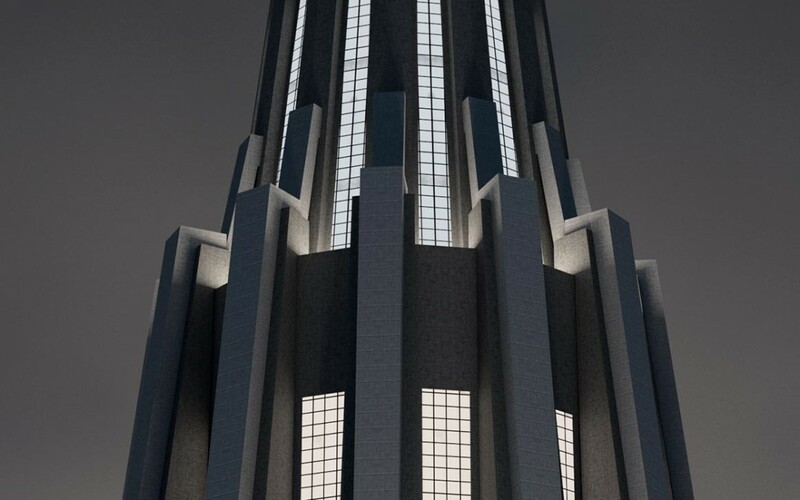 In an attempt to reverse-engineer the techniques Ferriss uses I drew a building and placed multiple lights a the bottom and one light at the back of the building, all facing upwards. I also created some fog in the background (with Vray Environment Fog) to make the light at the back visible. 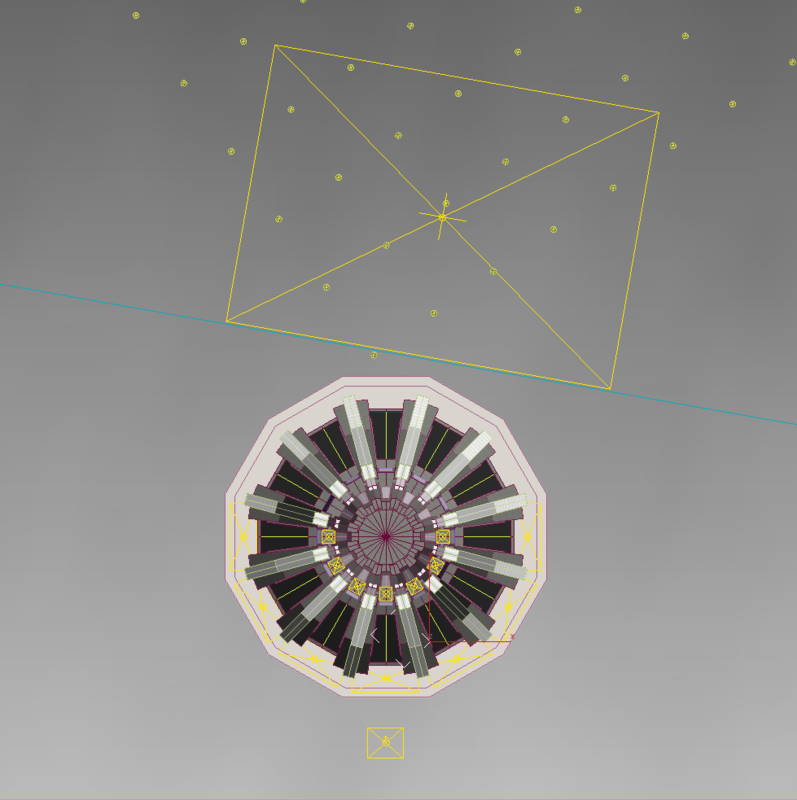 Below you can see a detail of the picture and a screenshot that shows the positions of the lights.